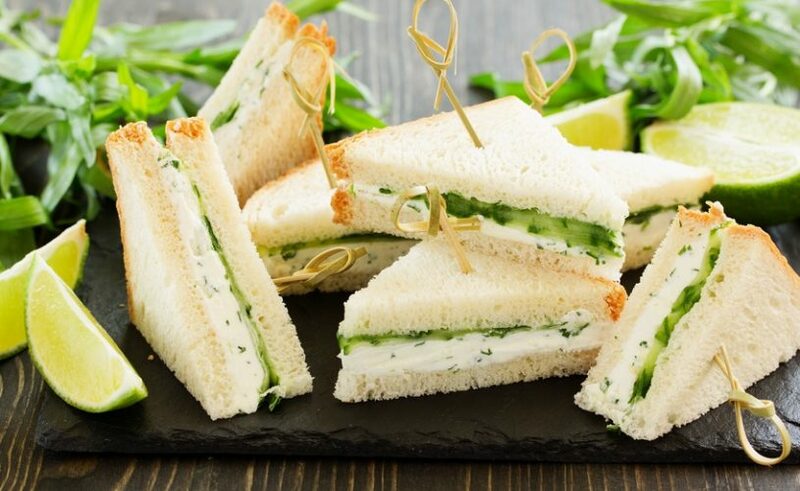 We serve a lovely selection of sandwiches, savouries, cakes and desserts. And everything is made freshly on the premises. We are happy to accommodate any dietary requirements – please let us know when you make your booking. 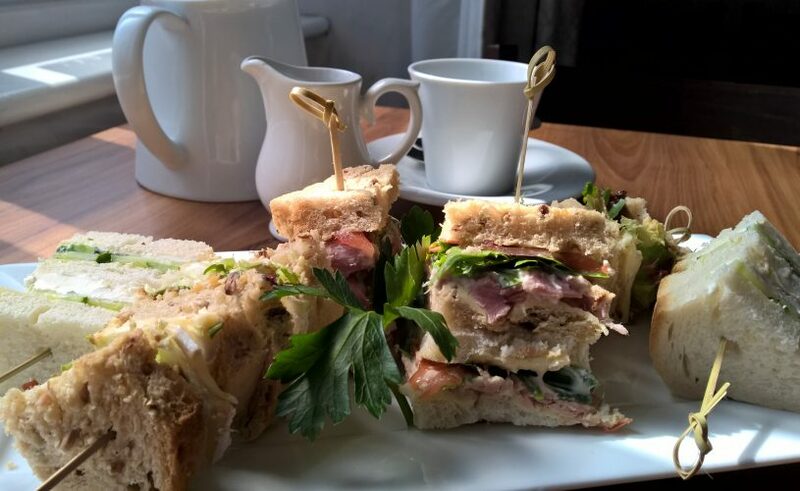 We serve our afternoon tea Monday to Saturday, between 2.30 and 4.30pm. Your visit has to be booked in advance, but if you call in the morning we can usually fit you in for that day. Start your afternoon tea with some bubbles – add a glass of Prosecco (or two). Sparkling Tea £59.90 for 2 people. 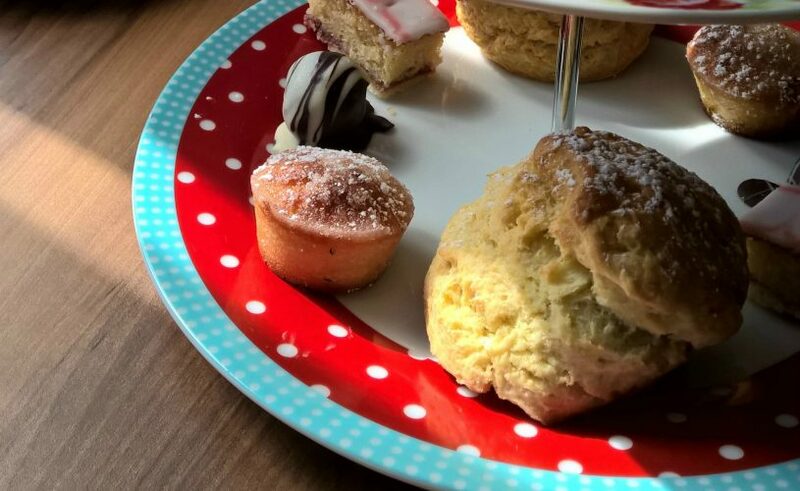 Our afternoon teas make a great gift for someone special. See our Vouchers page for more details. 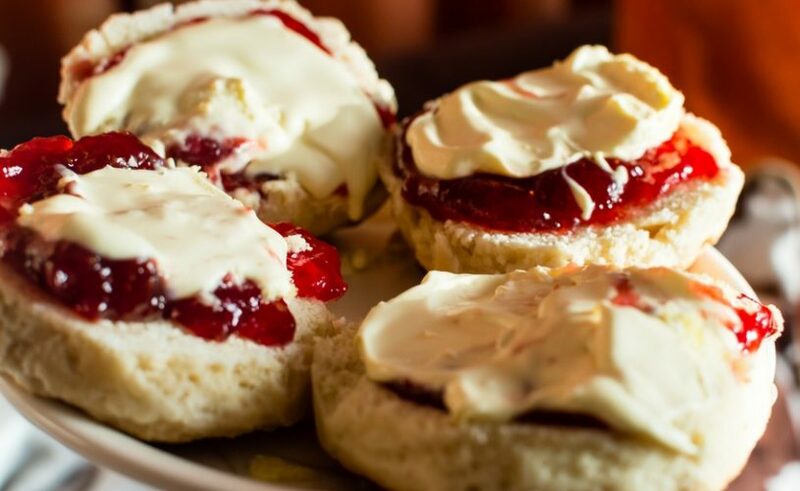 We also serve a classic cream tea – lovely homemade scones, sticky jam and Cornish clotted cream. Available most afternoons – booking not always necessary. To make your booking please call 01566 784863. Card details will be taken in case of a no show. Check-out our Offers page too!